Social media have indisputably changed the way consumers and brands interact. 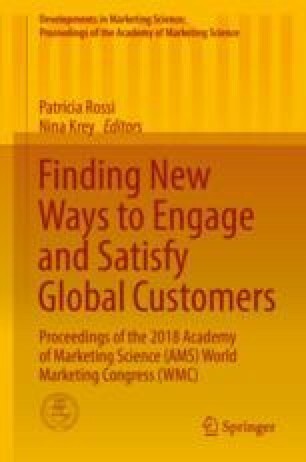 Nowadays, many users generate contents on brands they like, or do not like, and share those opinions with other consumers from all over the world (Smith et al. 2012). In this environment, the opinion of some content providers has gained a lot of credit among their peers. Called “social media influencer (SMI),” their influence is such that before deciding to buy a product, some of their followers would systematically consult the SMI’s opinion (Moon and Han 2011). Brands did not fail to notice this particular influence and a vast majority of them seized the opportunity to develop partnerships with influencers to see their products praised by the SMI. The practice is called product placement (PP) (Russell 2002). Yet, the context of SMI presents several differences with that of traditional PP which suggest an original persuasion process that deserves scholar and managerial attention. First, the strength of the relationship between SMIs and their audience, relying on parasocial interaction (Lueck 2015), is quite unique in the marketing and advertising context, where audiences do not usually share a personal relationship with the source of the commercial message (Colliander and Erlandsson 2015). Second, SMIs endorse products at a pace that has never been considered before. They are “serial recommenders,” implying high frequencies of attempts of influence. Recommendations—of potentially different brands in the same product category—may impact subsequent ones in a looping mode. Third, the audience’s involvement in the communication and the PP is also unique: although targets of PP in movies do not watch movies for the PP, SMIs’ followers seek SMIs’ opinion on products and brands. Finally, most audiences do not clearly identify the commercial dimension behind a PP offered on social media (Boerman et al. 2017), which increases the effectiveness of the practice (Charry and Tessitore 2016) and calls for additional investigations on consumers literacy and empowerment. The objective of this work is to investigate the persuasion process at play in the very specific context of SMIs’ PP and to provide a better understanding of consumers’ responses and empowerment. In order to do so, we will focus on the relationship between SMI and their followers; followers’ attributions of SMI’s motivations; the impact of the repetitive dimension of the practice, also at different levels of satisfaction, especially on engagement; and factors of consumers’ empowerment.